VANISHING Blue felt tip pens are air reactive, and are suitable for use on Rayon, synthetic materials and other delicate fabrics. The marks will vanish either by use of the eraser or naturally in 3 – 5 days. Packed either 6 pens per box without eraser or 5 pens with eraser. Also available with or without the eraser as a bulk pack of 100. 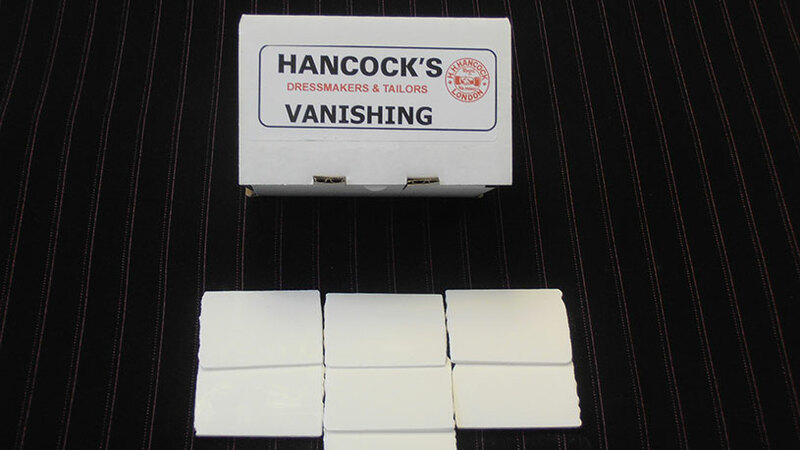 VANISHING White oblong crayons are air and temperature reactive, the mark will automatically vanish after 3 -5 days at normal room temperature of 15 degrees C.
Packed 50 pieces or 12 pieces per box. 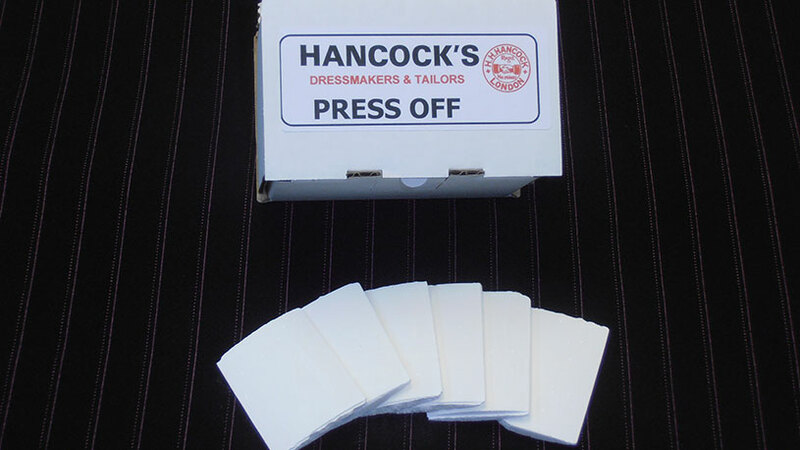 PRESS–OFF White oblong crayons are suitable for use on most fabrics, it is especially formulated so that the marks will disappear when the garment is pressed by a steam iron. Available as a white oblong shape or as a white powder. Marks made with these markers are more easily removed from delicate fabrics than those made with either chalk or wax products. Packed 50 pieces or 12 pieces per box or 1 Kilo powder. SUBLIMATING White oblong crayons can be used on most materials, particularly those of a delicate nature. The marks will automatically disappear from the cloth after approximately 7 – 10 days, but can be removed earlier by a steam iron. Available as a white oblong shape and packed 50 pieces or 12 pieces per box. The standard precautions should always be taken before marking-up.